Pre-order Aven Colony today to explore the treacherous badlands of Cerulean Vale. This additional sandbox map features the harshest environment yet, and the greatest rewards. Push yourself to the limit of extrasolar survival! 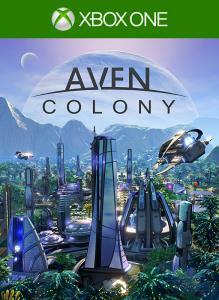 Build a new home for humanity in Aven Colony. Discover Aven Prime - an alien planet of deserts, tundras, and wetlands light years from earth. Build your colonies into massive, sprawling cities whilst dealing with the challenges faced when settling on a new world.